The University of Puget Sound Loggers Men’s Soccer ID Camp is a two-day event that will fall on February 24 and 25. It is inviting all high school male soccer players who are interested of taking their game to the collegiate level. This soccer identification camp is going to take place at the scenic University of Puget Sound campus. Furthermore, it is important to note that this is a commuter camp so attendees are responsible for their own lodging. The training program is also set to cover both the technical and tactical facets of the game. In addition, the participants need to bring their own soccer ball, turf shoes, cleats, and shin guard. The University of Puget Sound or just Puget Sound is a private, coeducational, liberals arts university in Tacoma, Washington. It is among the 40 colleges included in the Colleges That Change Lives: 40 Schools That Will Change the Way You Think About Colleges. In addition, the University of Puget Sound is a member of the Annapolis Group. It is also part of the International Association of Methodist-related Schools, Colleges, and Universities (IAMSCU). Currently, the university’s undergraduate student population is 2,508. 40 percent of this undergraduate student population are males and 60 percent are females. It is serving more or less 300 postgraduate students. The University of Puget Sound is also among the country’s top universities. In fact, it is 192nd in the Forbes Magazine’s List of America’s Best Colleges. It is also 68th in National Liberal Arts Colleges, 2018 edition of the US News and World Reports Best Colleges rankings. In sports, the university has 23 men’s and women’s collegiate teams that compete in the National Collegiate Athletic Association (NCAA) Division III, Northwest Conference (NWC). The university athletes’ nickname is Loggers and their identity colors are maroon and white. Reece Olney, from Enumclaw, Washington is the head coach of the University of Puget Sound Loggers men’s soccer team. He is now entering his 25th year at the helm of the Loggers men’s soccer program. Coach Reece Olney is an alumnus of Seattle Pacific University. Ultimately, he is a three-time NWC Coach of the Year awardee. Under his guidance, the University of Puget Sound Loggers men’s soccer team has already four NWC titles. Coach Reece Olney is now holding an overall coaching win-loss record of 285-136-46. Then, the Loggers men’s soccer assistant coaches are Brian Lawson, Greg Swanson, and Luke Sandblom. Coach Brian Lawson from Tacoma, Washington is now entering his second year with the coaching staff. He is a bachelor’s degree in History and master’s degree in teaching graduate from the University of Puget Sound. Presently, Coach Lawson is teaching soccer at the Lincoln High School. Coach Greg Swanson also from Tacoma is now in his fifth year with the Loggers coaching staff. He is also a Puget Sound alumnus with a bachelor’s degree in Business and Economics. Coach Swanson is a former Logger standout college soccer player and was part of the Loggers 2006 NWC championship team. Finally, Coach Luke Sandblom is a mathematics, and business and economics graduate from the University of Puget Sound. He is also in his second season with the coaching staff. 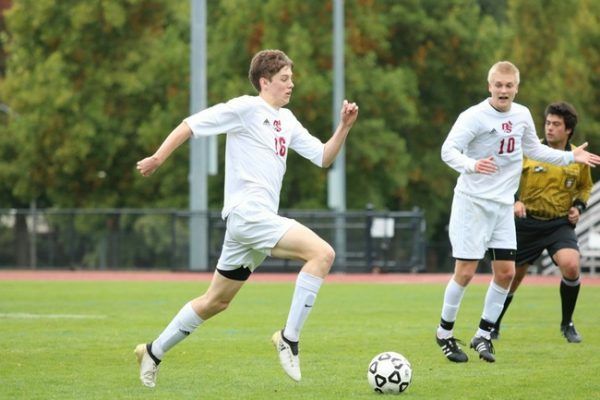 The University of Puget Sound Loggers Men's Soccer ID Camp is open to all and any high school boys who are aspiring to become a college soccer student-athlete. It is a two-day commuter camp that will take place at the University of Puget Sound campus. This soccer identification camp is under the direction of the Puget Sound men's soccer coaching staff.